This Bleeding Heart quilting block pattern can be made with expert precision by implementing the use of the templates that we present here. 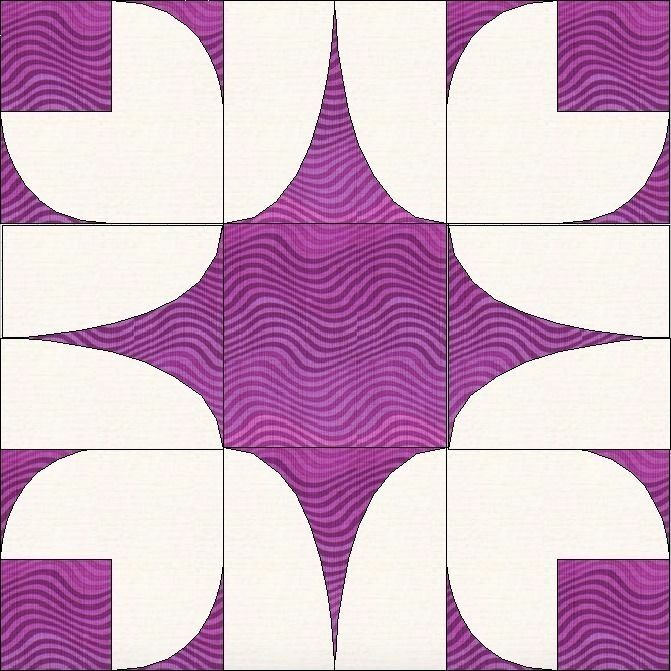 Our pattern makes a 15x15 inch quilting block with a 1/4 inch grace allowance. This way you can make any size quilt you desire within 15 inch increments of your desired result. You should already know how to use a paper piecing pattern with templates. SIZING / FINISHED MEASUREMENTS: Finished quilting block is 15x15 inches with a 1/4 inch grace allowance for piecing. MATERIALS: Fabric in 2 different colors (1/4 yard each preferred, but less will be used).